Our Cakes and Slices program is a fantastic opportunity for participants to get into the kitchen and take a hands-on approach to cooking. 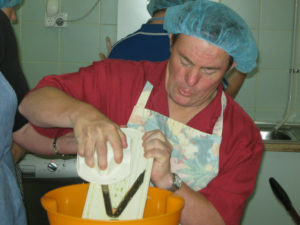 Participants select their own recipes and learn how to prepare and bake their own cakes and slices. This program is enjoyed by all participants, especially when they take home their tasty bites to share. 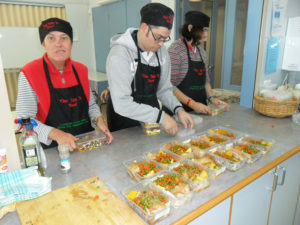 This is a program that offers our service users a great opportunity to improve their cooking skills whilst also helping out the community. 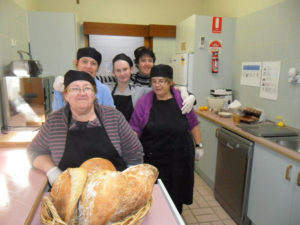 Food Share is a volunteer program that is held at the Birillee Neighborhood House, in which our service users prepare and cook food that is then later distributed to people who need assistance in the Wodonga community. 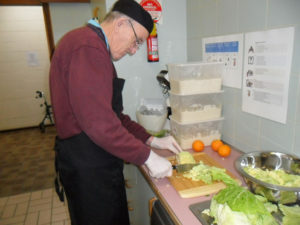 This program gives our service users the opportunity to perform volunteer work in the Salvo’s Café; drawing on their skills and abilities in the kitchen as well as their skills in working with people. 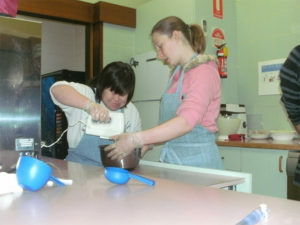 Like many of the other programs we offer at Murray Valley Centre, providing help at the Salvo’s Café allows our service users to not only help themselves in their own development, but also to lend a hand to the Wodonga community. 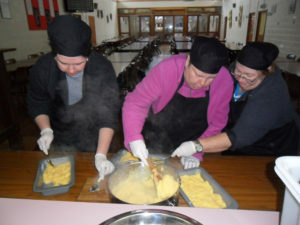 This program includes hygiene practice of washing hands, wearing gloves, aprons, hair nets, food preparation and waiting on the lunchtime customers at Murray Valley Centre. 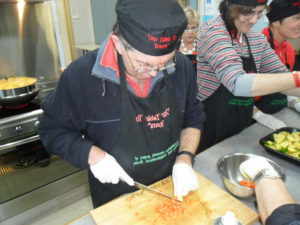 The participants will learn skills involving chopping, peeling, mashing, stirring, braising, an assembly of recipe, cooking methods, ingredient content and nutrition.